As we all know, natural slate is revered for its ability to preserve the architectural integrity of a building. However, what if you’re tasked with re-roofing or refurbishing one of Scotland’s historic or prestigious buildings, and you can’t source an authentic replacement for the original Scots slate anywhere? It’s a dilemma faced by countless architects, specifiers, local authorities and even Historic Scotland themselves, when looking to continue the practice of diminishing course random width slating with materials that no longer exist. Many of Scotland’s historic buildings are graced with traditional Scots slate from quarries, such as Ballachulish, that are now extinct. Needless to say, the demand for reclaimed Scots slate runs high: which leaves the specifier in a predicament. In the past, importers have tried to emulate original Scots slate by using sized slates, without success. So-called ‘random mixes’ of slates using stock sizes of tally slates, plus some extra wide slates, are often created to satisfy demand. Unfortunately, these fail to produce an authentic roofscape as there are usually too few widths. Ideally, the widths should be just as they arise; or as a full set, in one inch size increments. There is now a solution, thanks to SIGA. By using some of the highest quality slate in the world from the Manod quarry in Wales, combined with our experience in traditional slate practice, we are pleased to unveil SIGA 120 as part of our Excellence range – a new and unique slate that has been purposely created for the Scottish market. 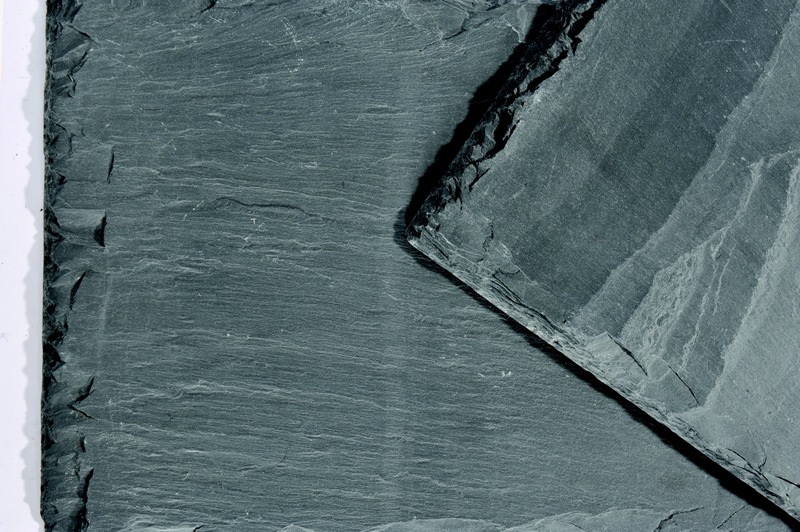 A highly-striking back vein slate that shares many of the characteristics of traditional Scots slate, SIGA 120 is available in set lengths and random widths to enable the diminishing course random width slating to continue in true style. What’s more, these slates are crated according to their length to allow for more economical estimating and fixing, thereby greatly reducing the labour time for sizing, dressing and wastage. Plus, longer slates can still be cut down on-site to save purchasing more material than absolutely necessary.